Teeth that been dulled by aging or staining issues from dark foods, beverages or tobacco use can leave you feeling self-conscious about your smile. This drives many people to want to explore their tooth whitening options. Unfortunately, moderate to deeply stained teeth usually cannot be improved by retail grade whitening products available in stores. It’s a good idea to consult with Two Rivers Dentistry in McCall before using a new whitening product. Our highly trained dental professionals have the training and experience required to help you find the safest and most effective way to meet your whitening goals. Our professional tooth bleaching procedure is the safest and most effective way to whiten the teeth in your smile. Before the tooth bleaching procedure begins your Two Rivers Dentistry in McCall dentist will protect your gums with a special gel or a rubber dam. Then a small amount of concentrated bleaching gel is poured into trays that are inserted into your mouth. How long you need to hold the tray in place will vary depending on how deeply stained your teeth are. A special ultraviolet light might also be used to brighten your teeth further. 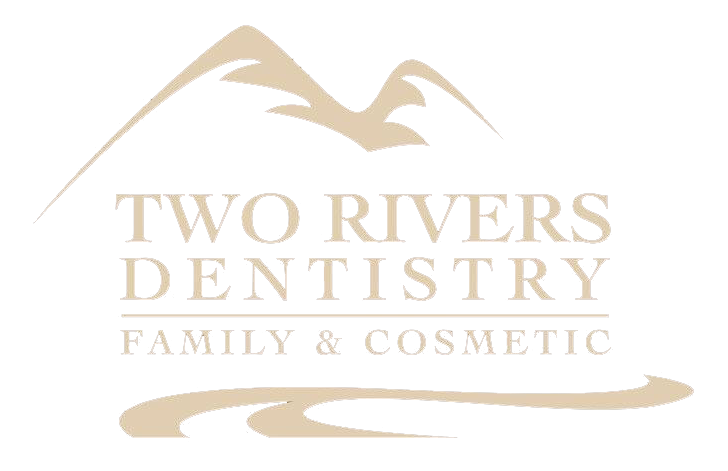 If you have questions or would like to explore your whitening options, and you are interested in a tooth bleaching procedure, you should call Two Rivers Dentistry in McCall at 208.634.5255 to set up an appointment.